From 2012-2016, Mr. Magnus was an externally contracted senior economic adviser to UBS Investment Bank, where he had previously been employed in this capacity between 2006-2012, and prior to this, as Chief Economist from 1995-2006. During this time, he served for a few years as the Chair of the Investment Committee of the Trustee Board of UBS (UK) pension and life assurance fund. Before joining UBS, Mr Magnus had been the Chief Economist at S.G. Warburg (1987-1995), Chief International Economist at Chase Securities (1985-1987) and Head of Economics for Europe, the Middle East and Africa at Bank of America (1977-1985). Mr Magnus received an MSc. 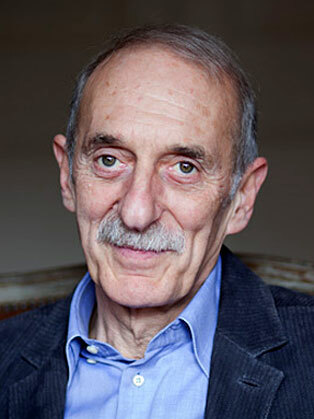 Econ from the School of Oriental and African Studies, did postgraduate research at the University of Illinois, and taught economics at the University of Westminster and at Illinois. Over many years, Mr. Magnus has researched and written about the global economy. He received plaudits for having predicted a ‘Minsky Moment’ in 2007 as the world’s financial crisis was starting to erupt. In the long shadows of that crisis, and through the Euro crisis, a decade of expansion that has felt disappointing, the eruption of western populism and the evolution of a more authoritarian and assertive China, he has posed trenchant questions and offered thoughtful insights. He contributes regularly to the Financial Times, Times and Nikkei Asian Review comment pages, writes weekly for Prospect Magazine, and his views can be read in other media and heard periodically on BBC TV and radio, Bloomberg TV and other outlets. Mr. Magnus is the author of The Age of Aging – a study of how demographic change is influencing the world, its consequences for richer and poorer countries, and how we can develop coping mechanisms to address the principal challenges. He is also the author of Uprising: will emerging markets shape or shake the world economy? which examines the rise of China and other major emerging markets, and considers controversially whether China really is destined to rule the world. 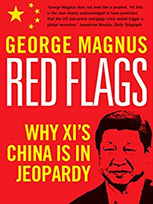 His current book, Red Flags: why Xi Jinping’s China is in Jeopardy, concluded after the Communist Party’s 19th Congress, will be published in 2018, and examines how China may cope with Four Traps (debt, currency, demography and middle income), and with trade and Belt and Road challenges.